You’ll provide your prescription number, pharmacy name and phone number. Then we can take it from there! Simple, right? Visit the locations page to find the pharmacy nearest you. If you have any questions about the Dimensions program, representatives are always on-hand and ready to answer questions, address concerns and help Electric Boat families get the most value out of their plan, while fully tending to their prescription needs. Call or visit the pharmacy nearest – Groton or Quonset Point. Frank has been with the Electric Boat Family Pharmacy in his role as pharmacy manager since 2007 when the first location was opened in Quonset Point. In 2010 he left to manage the current location in Groton, CT. Frank graduated from the College of Pharmacy at the University of Rhode Island and upon graduation completed a residency in Primary Care Pharmacy Practice at the Providence VA Medical Center. He is able to utilize skills obtained there to assist patients with diabetes enrolled in the Dimensions program. He is also working toward obtaining the Certified Diabetes Educator (CDE) credential in 2019. In addition to spending time with his four children he enjoys running, biking, and triathlon during his time outside of work. Megan has been a staff pharmacist at the Electric Boat Pharmacy since 2015 and prior to that as a pharmacist at the Mohegan Sun Pharmacy. She is a graduate of Penn State University with degrees in Biology and Secondary education and a graduate of the South Carolina College of Pharmacy with a Doctor of Pharmacy. Megan splits her time both in the pharmacy and with patients with diabetes in the Dimensions program. She is currently working toward earning the Certified Diabetes Educator (CDE) credential to better help her patients. Outside of work Megan is busy with her two young sons and keeping up with Penn State football! Ed graduated from the College of Pharmacy at the University of Rhode Island and has been the pharmacy manager of The Electric Boat Family Pharmacy in Quonset Point since May 2010. Prior to this Ed has managed several pharmacies for the Walgreens Corporation throughout Rhode Island. Ed is a licensed pharmacist in Rhode Island and Connecticut and has obtained an APhA Certificate in Patient-Centered Diabetes Care, as well as a Walgreens Diabetes Certificate. He has completed the Core Coach Training Program with Wellcoaches School of Health and Wellness to assist his patients with positive lifestyle modifications. He is also an APhA certified immunizer, and CPR certified. Ed lives in Wakefield, Rhode Island with his wife and two children. 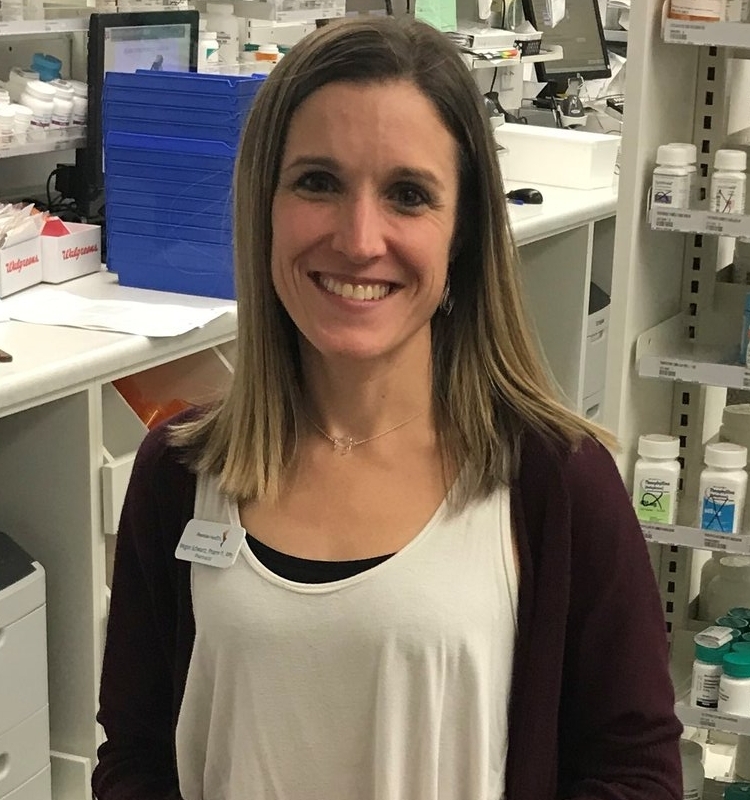 Nicole graduated from the College of Pharmacy at the University of Rhode Island and has been with The Electric Boat Family Pharmacy as a staff pharmacist and diabetes educator for two years. Prior to this Nicole worked at and managed several Walgreens pharmacies throughout Rhode Island and Massachusetts. Nicole is a licensed pharmacist in Rhode Island and Massachusetts and is a Certified Diabetes Outpatient Educator. She completed the Premise Health Behavior Change Generalist training and the Core Coach Training Program with Wellcoaches School of Health and Wellness to motivate positive behavior change in patients and improve patient outcomes. She is an APhA certified immunizer and CPR certified. Nicole lives in Coventry, RI with her husband and two children.